Lovers Society- Una is a 70's inspired full crochet and mesh embroidered gown. The bodice is elegant with a high neck, openwork crochet panel, waist trim and form fit through the hip. 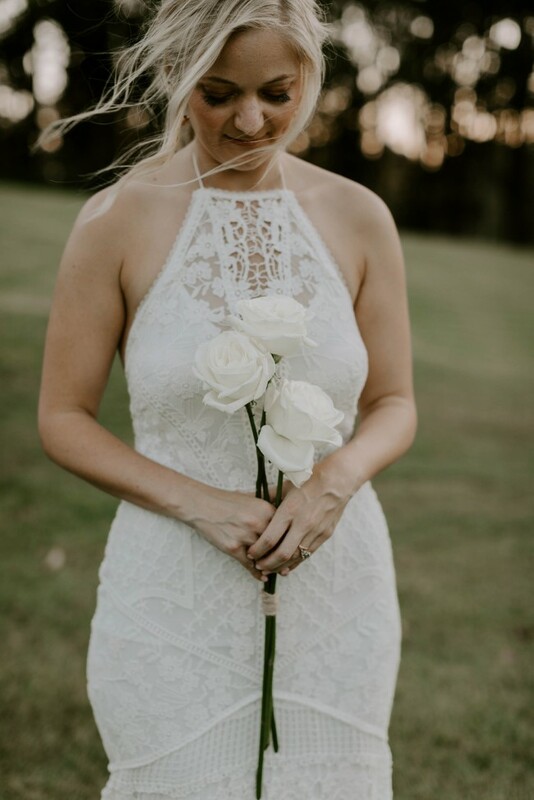 A textured, floral gypsy skirt with a modest train and scallop edge meet the bodice and compliment the relaxed, and carefree nature of the gown and the free spirited bride herself. I am a size 8-10. I wore this at my wedding in November 2018. We got married in hot weather and it was very comfortable to wear due to the stretchy fabric. The dress is still part of the Lovers Society current collection. It has been dry cleaned and is in excellent condition. I had the dress professionally altered at London Fitting Rooms. The hem was taken up as I am 156cm tall (with no heels on). Has cups added (I'm a size D). It was taken in at the waist and slightly taken in at the bust and hips to be a firm fitting. Bustle added as well as wrist loop. Overall alterations very minimal. Once you send a message, Krissy can invite you to purchase the dress.